The financial recession of 2008-2009 led to the credit crunch and sharp rise of the importance of direct investment into agricultural production. In 2010, in response to this new trend "UkrAgroConsult" has launched AgroInvest UAIndex project, which aims to meet the demand for quality investment services and consulting. The systematic approach combines studies of commodity markets and capital markets, which allows us to consider agricultural market as a whole system and make the most effective investment decisions. Studies and reports conducted within the AgroInvest UAIndex project reveal high potential of Ukrainian agrarian sector for private investors; these tools are used to analyze trends that are directly related to the dynamics of the capitalization of Ukrainian agricultural holdings. Our recommendations are based on monitoring and analysis of agribusiness and investment projects in the agricultural sector of Ukraine and the countries of the Black Sea region. AgroInvest UAIndex project offers our subscribers historical data on the share fluctuations of agricultural holdings, analysis of corporate reports, business projects, as well as additional services of business appraisal or appraisal of the respective sector of agriculture/food industry. Support for investment projects of foreign financial institutions/companies. AgroInvest UAIndex project provides a full range of services on risk minimization and improvement of efficiency for enterprises. Payment for our services is based on cost recovery and fixed compensation in case of deal closure. We are confident that our services and analysis of agricultural markets will increase the profitability of your new projects and business in general. Sergey Feofilov - general director of UkrAgroConsult, Ph.D. in Economics (1985). 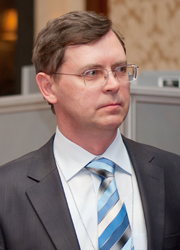 Since 1981-1984 – Senior Economist at Ukrainian Republican Office of the State bank, was involved in teaching activities. 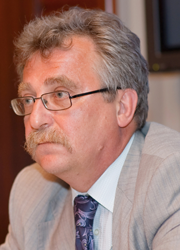 Since 1987-1991 he worked as a trader, later deputy director of the trade union “Ukrimpex”. In 1992, Sergey Feofilov became head of the foreign economic activities’ department of Ukrneftegazstroy, since 1992-1994 he became general director of government consulting company UPVE. He is the founder of the first analytical center “UkrAgroConsult” specializing in agricultural sector of Ukraine and Black Sea region countries. Sergey Feofilov has 17 years of experience in analyzing agricultural sector of Ukraine and Black Sea region countries, publisher of analytical reports for grain and oilseed markets of Black Sea region countries. He studied in the framework of national and international training programs (1997 – UK, 2006 - USA). Sergey Feofilov has broad national and international contacts in trade, banking and investment sectors. Bohdan Chomiak – strategic planning director (2009). Bohdan Chomiak began his agricultural career as farmer. He served as the Head of Agriculture Homestudy for five years. As a result of his success in training farmers Mr. Chomiak was appointed Dean of Agricultural Extension at Canada's premier agricultural college, Olds College. In the 90-s Mr. Chomiak came to Ukraine where he directed Canadian-Ukrainian farmer training programs until 1995. From 1996 to 1999 he worked on the development of Ukraine's commodity markets and was a founder of the Ukraine Grain Association. After that he served as Director of USAID’s Agriculture Division and was the senior regional economic adviser for USAID region including Moldova, Ukraine and Belarus. Since 2009 Bohdan Chomiak is a Partner of UkrAgroConsult working with corporate clients and analyzing markets. Over the twenty years in Ukraine Mr. Chomiak has managed technical assistance projects in excess of $140 m and private commercial agricultural projects of up to $40 m.